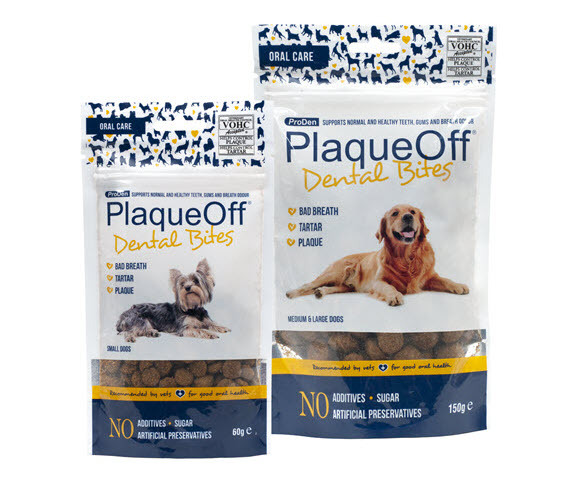 PlaqueOff®Dental Bites and Powder has been approved and granted the VOHC seal for its effect on plaque and tartar. 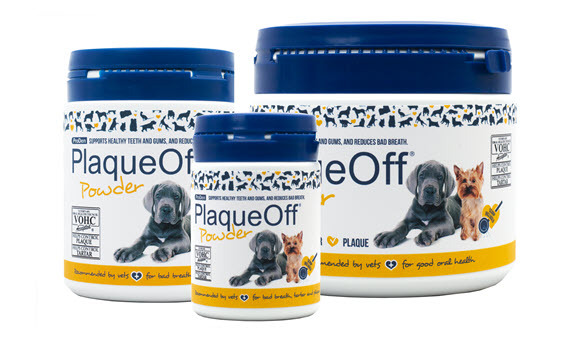 Two clinical studies* on dogs performed by Jerzy Gawor, DVM, PhD, DipAVDC/EVDC and his team have shown that ProDen PlaqueOff® Powder significantly reduce the formation of plaque and tartar. Data from these studies were submitted for review by the Veterinary Oral Health Council (VOHC®), which awarded the Seal in the VOHC “Helps control plaque and tartar” categories. Swedencare is proud to announce that ProDen PlaqueOff® Dental Bites and ProDen PlaqueOff® Powder is now permitted to carry the VOHC® Accepted Seal. These are the first studies we have made where ProDen PlaqueOff is included in another format than powder. We were convinced of the efficacy of the product and are pleased to have a proper and formal study showing these excellent results. The VOHC seal is also very important to us as several major veterinary players, mainly in the U.S. but also in other parts of the world, only offer products with the VOHC-seal concerning dental health. As a result we can now, with the VOHC approved product, enter a new untapped part of the market for our Dental Bites. The studies were done on two groups of dogs, one group with small dogs and one with small and medium size dogs. Both groups of dogs were divided into two subgroups, one that received ProDen PlaqueOff® Dental Bites and one that received a placebo with identical composition except that it did not contain the active ingredient, the alga, Ascophyllum nodosum. Before entering the study all dogs were controlled to be healthy and their teeth were cleaned to remove any tartar and plaque. The dogs were given the product for 30 days and after this, the presence of plaque and tartar was measured. In both groups receiving ProDen PlaqueOff® Dental Bites , there was significant less plaque and tartar. The mean reduction in plaque index was 40% and the mean reduction in tartar was 38% after using the active product for one month compared to the placebo group. The full (90 day) studies will be formally published at a later stage. 60 g and 150 g.
40 g, 180 g and 420 g.
VOHC exists to recognize products that meet pre-set standards of plaque and calculus (tartar) retardation in dogs and cats. Products are awarded the VOHC Seal of Acceptance following review of data from trials conducted according to VOHC protocols. The VOHC Seal is displayed on products that have been awarded the seal. Regular use of products carrying the VOHC Seal will reduce the severity of periodontal disease in pets. I have been using ProDen PlaqueOff® Dental Bites for several weeks and the difference in my dog’s breath is night and day. For more than fifteen years, the patented product ProDen PlaqueOff® has been a natural complement to the daily oral hygiene around the world. Our products now reach customers on all continents.